Antipsychotics have already been linked to type II diabetes in adults. Now a new study shows a connection between these medications and the chronic medical condition in kids as well. Researchers report in the journal JAMA Psychiatry that children taking antipsychotics have three times the risk of developing type II diabetes, compared to children taking other psychotropic medications (drugs prescribed to treat mental disorders). The study authors were surprised by the magnitude of the results. But the findings make sense, given that the side effects of antipsychotics include weight gain and insulin resistance, said Wayne A. Ray, study co-author and researcher in the Department of Preventive Medicine at Vanderbilt University School of Medicine. However, the study shows an association, not a cause-effect relationship. It's not uncommon for an adult taking antipsychotic medications to gain 20 to 40 pounds in a relatively short period of time, Ray said. 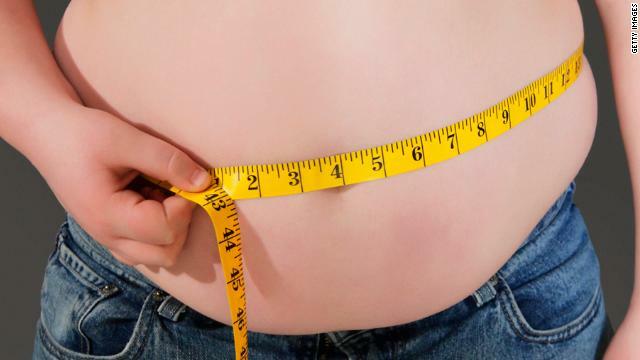 Similar weight gain effects have been observed in children, proportionate to their body sizes. "My takeaway message is that these medications should be used more cautiously in children and youth," said Ray. Use of antipsychotics in general is increasing among children and youth, study authors said. They are now being prescribed for bipolar disorders, affective disorders and symptoms connected to behavior problems. Antipsychotics are prescribed to some children with attention and conduct disorders because these medications are potent tranquilizers, and can reduce the occurrence of some types of behavior problems such as aggressiveness, Ray said. But all of these mental conditions have other therapeutic options, and antipsychotics are often a secondary or off-label choice, the study said. Schizophrenia, however, is different - antipsychotics are the only recommended medications available for that condition. Study authors were interested in exploring conditions for which alternative treatments exist, so children with schizophrenia were excluded from the study. Researchers examined the medical records of patients between the ages of 6 and 24 who were enrolled in the Tennessee Medicaid program. The sample size was large: There were 28,858 participants who had recently started taking antipsychotic drugs, and 14,429 in the control group who had recently begun a different psychotropic medication. The most common diagnoses in the study group were ADHD and other problems of conduct, Ray said. Other conditions for which antipsychotics were prescribed included depression and bipolar disorders. Study authors found a three-fold increased risk of type II diabetes in the patients taking antipsychotics, compared to those who were taking other psychotropic drugs. The risk was found particularly in children ages 6 to 17. Researchers observed this association between antipsychotics and diabetes within one year of follow-up. "We typically think of type II diabetes as a disease that takes a long time to develop, but what our finding implies is that even rather short-term use of these drugs in children and youth might not be safe with regard to diabetes," Ray said. The total amount of antipsychotics patients took during the study period affected their risk of developing type II diabetes as well, researchers found; the higher the cumulative dose, the higher the risk. And for up to a year after participants stopped using antipsychotics, the risk remained heightened. This study focused on young people in the Tennessee Medicaid program so it did not look at any other states or countries. There was potential for some participants to be misclassified as having type II diabetes, and for others to have their condition go undiagnosed. Study authors attempted to minimize the influence of such potential errors by matching antipsychotic users and controls at the beginning of the study period according to several factors, such as screening tests of glucose or diabetes. The study authors could not directly control for obesity, which is also closely associated with type II diabetes. They say that many factors that they did control for would have indirectly addressed the issue, however. Another caveat of the study is that it did not assess the risks of individual drugs. It is possible, the researchers acknowledge, that patients at risk of diabetes may have been prescribed drugs that doctors thought would be safer, metabolically speaking. The study was not able to establish this. This study did not examine patients who had type II diabetes and whether the condition could be reversed, but Ray said there could be diabetes cases among users of psychotropic drugs in which it becomes a lifetime chronic disease. "Before you’re going to expose a child to a medication that has many dangers –- not just the one we’ve uncovered, but many others –- you should think carefully about alternatives," Ray said. "My opinion is that only after you've tried those other things, should you then think about antipsychotics." My daughter was put on it for Tourettes Syndrome – They warned me it could increase her lipids but never said anything about rapid weight gain or diabetes – she's only nine and now weighs 105 pounds. I'm extremely troubled by it but she isn't. She doesn't know that weight is so easy to put on and so hard to take off. Crazy people don't eat well. Give them enough anti-psychotics to rein in the crazy, and they put on weight. Well that's an incredibly stereotypical and ignorant statement. I've been on seroquel. It makes you hungry all the time, and makes you sleepy so you don't exercise. This study is a massive "duh" by anyone who knows anything about anti psychotics. Nicole: Seroquel is a 'backwards" medication. With most, the more one takes, the greater the sedation. With Seroquel, small doses cause sedation. Fully therapeutic doses (for psychosis) don't cause such sedation. For that reason, psychiatrists often prescribe Seroquel in smaller doses as a sleep medication. Unless you are psychotic, why take the drug? Is one of those "SixDegrees" an MD? If so, you should sue. You are clueless. Great Day in the Morning! A new 'study' by 'researchers'! How fortunate for all! Stand by for the next one, it will arrive soon if not sooner! Wow, another incredibly stupid comment on this thread. We need to stop treating these drugs like asprin. The only reason to prescribe them is psychosis or severe, life threatening self harming behavior. The diabetes-antipsychotic (and sometimes antidepressant-diabetes) link is very, very old news. There have been class action lawsuits against drug manufacturers going back at least 10 years. I recall one psychiatrist saying "Show me a (mental health) drug with no side effects and I'll show you a drug with NO effects." Headline should have read, "Antipsychotics linked to type 2 diabetes in children". Let's not confuse type two with type one and make a blanket statement by only saying "diabetes". Reblogged this on The Road to Healthville. I feel that anti psychotics are prescribed more often than necessary. I'm 17 and have been put on Seroquel and Risperdal for hallucinations and have gained 40 lbs. in the last year that I have taken them. CNN PLEASE REVIEW MENTAL TORTURE CASES WE ARE INVESTIGATED. ARE KILLING THE VENEZUELAN LIVING asians payng to californian AGENCIES . NORTH AMERICAN AGENCIES USING HACKER FOR COLLECTORS NOT PUBLISHED REPORTS OF ASIAN CRIME . TRY TO WRITE NAMES OF ASIAN MINISTERS AND EVEN CHILDREN AND THESE CRIMES AGENCIES DO NOT LET THAT PUBLISHED IN COMPLICES COMBIRTIENDOCE . INCENTIVES TO HANDLE WOMEN NANOTECHNOLOGY IN WOMEN . PLEASE CNN REVIEW THE CASES WE ARE INVESTIGATED. ARE KILLING THE VENEZUELAN LIVING . CNN APOLOGIZE FOR THE FREQUENCY OF PUBLICATIONS intervened BUT WE HAVE ALL PLATFORMS. Why isnt anyone powerful (Indian) posting articles about gut bacteria? This is %80 of the body`s immunity & comprises most the bodys hormones, & yet your still trying to push these estrogen pills on low-income people? Excellent remarkable things at this site. I am pretty delighted to look your site. Thanks a lot very much and I was looking ahead to contact you. Will you please drop me an e-mail?